This has been a great season for NASCAR driver Martin Truex Jr. The winingest driver this year with 7 wins and an amazing average finish of 9.9. 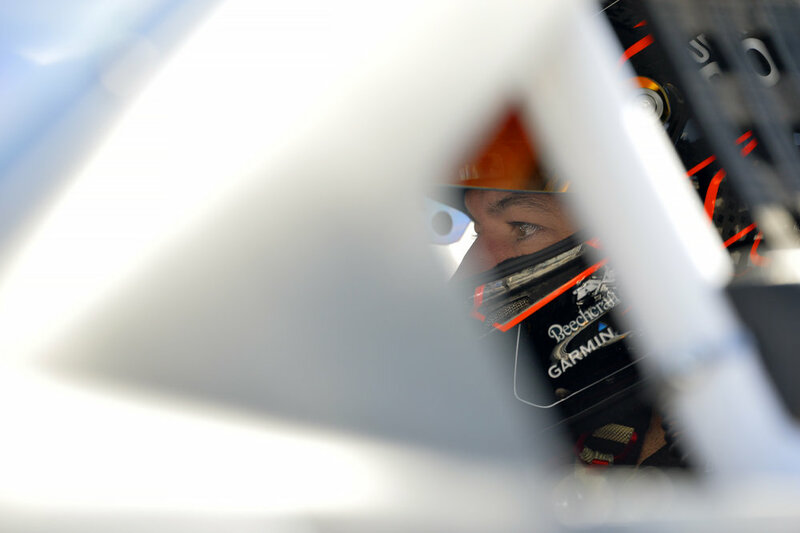 There's a lot to Martin's story which you can learn more about on the Martin Truex Jr. Foundation site, but I wanted to tell a brief example about how he is a winner in more ways then on the racetrack. Earlier this year I had the opportunity to photograph Martin as he helped out at Dover International Speedway with a presentation for Falci Adaptive Biosystems. The work this organization is doing for the disabled is remarkable, as you can see in this video. The disabled people that had come to the event wrangled on fire suits and rode with Martin in a Furniture Row Camry around the speedway. The participants were full of questions for Martin and thrilled at the opportunity of being driven around a NASCAR track by the most frequent visitor to the Monster Energy victory lane this year. Just when I thinking about how great this ride-a-long was for the people something really astounding happened. Not only were these disabled people going for a ride, they were going to be able to drive this specially designed racecar around the track by themselves. I can't describe the emotion, the joy, the power I saw in these people's faces. It was inspiring. Here's Martin as he prepares to head off in his racecar.